We usually play from start to finish, song after song, and it can be tough to sustain creativity as the choruses continue. But that’s no excuse for lazy bass line construction! All you’ve got to do is keep an open mind and shift perspectives from time to time. What are our musical responsibilities as bassists? 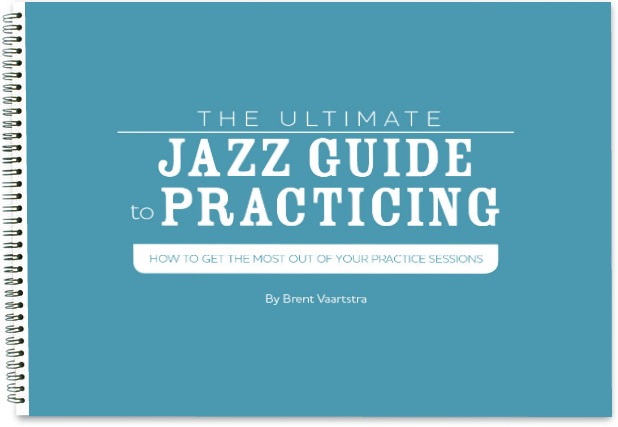 In jazz, the bass player is responsible for providing a rhythmic and harmonic context upon which the rest of the band will expand. Our ears are naturally drawn to the highest pitches for melody; harmony, however, directs our ears elsewhere. The lowest notes hold the most influence because harmony is structured from the bottom up, and the instrument that occupies the lowest tonal range holds the most harmonic power. As bassists, it’s important to understand how to use this power to serve the music best. The method in which we manipulate harmony is, of course, the bass line. 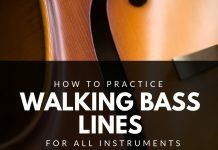 So what is a bass line exactly? Well, formally speaking, a walking bass line is a single-note, serial pattern of tones. It’s common for bass lines to span a song’s entirety. Functionally, however, it’s a little more interesting. To lead the listener’s ear from one chord to the next. If these definitions serve as our technical constants, then the rhythms and notes we choose to employ act as our musical variables; but for now, let’s focus on note selection. If our aim is to best define each chord we play, then what is our best course of action? Let’s take a look at some examples and find out! Which of these lines has the most harmonic information? Which line best directs the ear from chord to chord? Well, interestingly enough, line B is far more effective at weaving the chord changes into a single phrase even though line A provides significantly more relevant harmonic information per bar. The strength of line B, then, is derived not from its density of harmonic info, but from its use of scalar motion and chromatic leading tones. 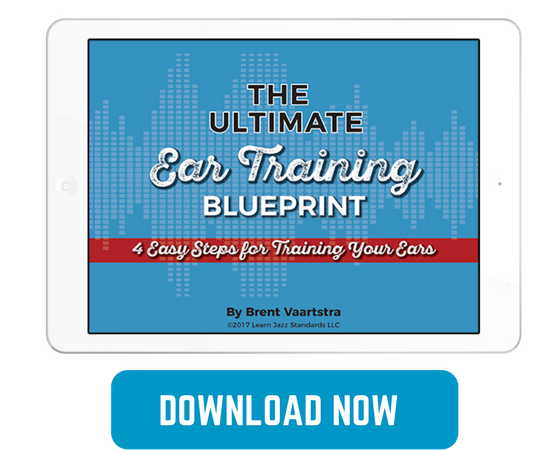 Basically, line B guides our ears from one chord to the next using linear motion to imply the harmony. Remember that when it comes to harmonic accompaniment, sometimes less is more. The quality of a bass line is not measured by the quantity of relevant chord tones within it, but by the strength of its voice leading and phrasing. Just because we’re responsible for providing harmonic context for the rest of the band doesn’t mean we can’t do so in a melodic fashion! How can we incorporate melodic concepts into our bass lines, but still provide a clear harmonic framework? As bassists, we’re accustomed to creating phrases centered about the roots of chords, and this is not a bad thing—the root is responsible for defining the chord, so it always holds the most harmonic weight. It’s absolutely vital to anchor the harmony by playing roots; however, it’s easy to get locked into an overly root-oriented approach to bass line construction that can prevent the music from opening up. I was taught in grade school that when writing a descriptive passage, it’s more effective to show rather than tell, and music is much the same. 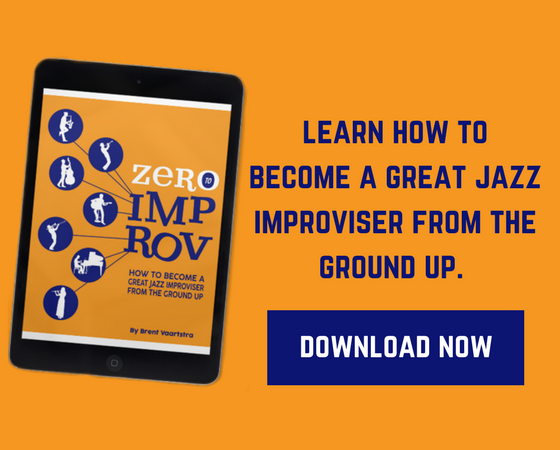 Jazz instructors tend to emphasize the importance of learning to “play the changes,” but it sounds boring, even silly, to literally just play the changes. Once you start playing through the changes, however, you start to make music. So if we don’t have to simply state the harmony, then what are some ways in which we can “show” it instead? Let’s look at a few more ways in which we can assert the harmony without necessarily providing all the heavy-hitting chord tones as context. The downbeats of bars two, three, and four of line C start are on the third of the chord (instead of the root), but the line has such strong voice leading that the harmony is still conveyed clearly. Try coming up with your own lines that start on the third of the chord! Line D utilizes common tones between chords to create an interesting line where the low tones and high tones ascend together in parallel motion. The line is somewhat ambiguous regarding harmony, but very strong in terms of melodic motion. The tension created by the harmonic ambiguity of the first three bars highlights the resolution from Abma7 to Dbma7, which is why the line is so effective. Lines E and F take a rather classical approach to line construction by taking a motif and modifying it to create a longer phrase. Both lines utilize a very useful technique called harmonic enclosure, where the target note is approached from a half step below and/or from a diatonic step above. In general, the notes we use in our bass lines should outline the harmony; however, we can sometimes break this rule if the “improper” chord tone sufficiently strengthens the line more than the proper one would. There is no B natural in an Abmaj7 chord, however the B natural in lines E and F actually better fits the passage, because a half step (C to B) resolution is stronger than a whole step resolution (C to Bb). Well, we’ve discussed quite a few concepts and looked at several examples, so what common themes can we extrapolate to take away from this page and into the practice room? Well…you tell me! A good bassist can sift through vast amounts of harmonic information and translate it into something concise, interesting, and informative. How direct or poetic your translation is your decision to make, and hopefully this piece helped open your mind to some new approaches. Bass lines are flexible, powerful little puzzles, and there are lots of ways to put the pieces together. Stay curious, experiment, and always strive for more! This piece is not intended to provide detailed harmonic analysis, so additional study may be necessary to fully understand how to employ some of the techniques referenced above. However, if this piece challenged your conception of what a bass line is and can be, then mission accomplished! Previous articleHow Long and How Often Should I Practice? I have a question that's somewhat on topic but not really. What are your thoughts on the electric bass in standard jazz? Does it have a place or does it just not fit? I've been struggling with this for some time because I only recently took up double bass because of my desire to play jazz. However, I'm finding that (particularly at my age) learning what is essentially a new instrument (as opposed to electric bass which I've been playing for years) while at the same time trying to grapple with learning to play jazz is proving to be too much for this old guy to handle. I must admit that I don't particularly find electric bass playing standards all that appealing aurally. It just doesn't have the same bounce as upright, so it doesn't seem to drive the song in the same way. My personal opinion as a non-bassist is don't be scared away if you want to play electric bass. I think it's completely acceptable. It's a different sound but if you work on your feel and emulating some of the more percussive nature you can get from the upright, I think it can sound great!